The first fashion photographer I met and worked for was Roger Charity. And soon becoming working within a whole new world from the advertising world.. it was the eighties and I became the colour printing service to the ‘Buffalo’ label.. created by Ray Petri. Working in time with the magazine’s of the day, ID and The Face, and all within Buffalo… the photographers from Marc Lebon to Jamie Morgan.. the stylists and models from Mitzi Lorenz to Nick Kamen. The synergy of that time, the people, created the overall feeling of ‘working with’ rather than ‘working for’, and that dynamic was one of the most influential components to being the type of printer that I was, and am still.. yet always remaining steadfast in the service to the photographers’ eye and vision. Charity always had a camera, always a great documentary photographer, one of the greats in the fashion world.. as he was innately gifted to be able to shoot men and women..with the same gifted sensibility. 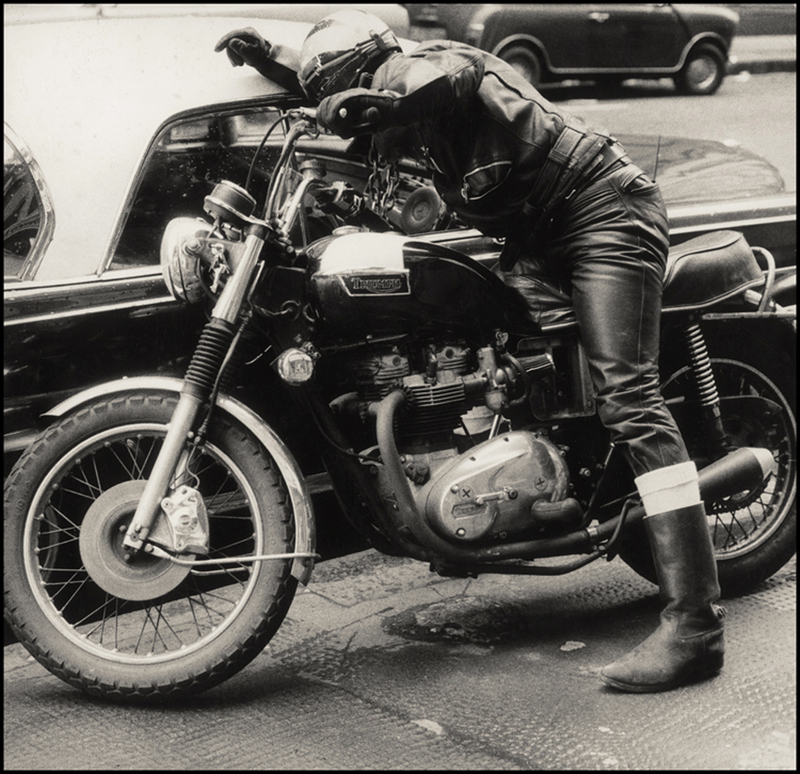 Outside Holborn Studios, he saw my black and white Triumph next to his beloved black and white Mercedes, my hand on the clutch and instantly photographed me as I leaned in talking to Ray.. he was sitting in the back seat, it was his ‘office’..